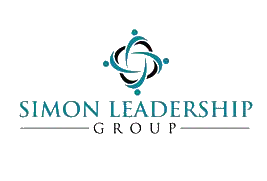 Simon Leadership Group (SLG) helps executives and high-potential individuals to lead more effectively and develop high-performing teams. He embodies and advocates the spirit of aloha as a catalyst toward deep, lasting business relationships. Scott is a Certified Coach in the Stakeholder Centered Coaching method developed by Marshall Goldsmith, named the world’s #1 leadership thinker by Thinkers 50 (2011) and America’s Pre-Eminent Business Coach by Fast Company magazine. By emphasizing and involving stakeholders in developing leaders, the coaching process induces meaningful behavioral change by the leader. And stakeholders 360° around the leader not only appreciate the improvements, but they also embrace changing themselves for the better. Do you want to lead more effectively and develop high-performing teams? "Being coached by Scott as I take on added responsibilities within my firm has been enlightening and empowering. The stakeholder feedback that he gathered for me through one-on-one interviews filled in blind spots and helped me to feel more comfortable in my new leadership roles. Surprisingly and maybe more importantly, the coaching process has led to better, more frequent communication with those all around me."